Palestinian Authority complains that Arab countries have not given it any money this year. 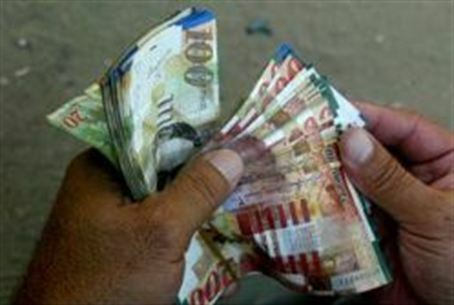 The General Accountant of the Palestinian Authority, Yusef Al-Zumar, said Monday that the PA is having difficulty paying its employees because Arab states are not giving it the financial aid that they promised it. In 2010, he said, the PA only received $280 million of the $960 million promised by the Arabs. In 2011, which is almost half over, it has received no money at all. Al-Zumar spelled out his woes in a meeting Monday that included Ali Al-Jarbawi, the PA’s Minister for Administrative Planning and Development, and Mariam Sherman, the World Bank Director in the PA.
Al-Zumar singled out the United Arab Emirates and Saudi Arabia, which he said transferred very small sums in 2010, compared to previous years. Qatar, he said, gave no aid at all in 2008 and 2009, and only a little aid in 2010. According to PA news agency WAFA, the World Bank promised to grant $20 million to the PA for rebuilding infrastructures in Gaza. In addition, it will hand over the annual $55 million in aid. Al-Jarbawi told Sherman that the PA would continue to build institutions of government with the Bank’s help. PA Prime Minister Salam Fayyad said last year that the PA received $1.2 billion in foreign aid in 2010 and that this aid is expected to drop further in 2011 to $1 billion. The financial aid comes from United States, Japan, Canada, Norway, Germany, Sweden, Spain and France. The European Union also contributes aid to the PA, with a budget in 2010 equivalent to about $370 million. The EU bailed out the PA last year after it spent 50% of the cash that was allotted for the entire year, in just three months. Since the signing of the Oslo Accords, the PA has been the entity receiving the highest foreign aid per capita in the world.